Through your gifts to Denver Eagles, you help strengthen home school families, promote traditional values and transform lives through the power of the gospel. But you also accomplish something else: You enable Denver Eagles to extend its ministry to those who cannot afford to support it. You see, many of our friends view Denver Eagles as solely a provider of fees based sports programs. They believe that income from those sources underwrites all of our activities. But what they may not realize is that registration fees barely cover our overall financial need. Each year our costs for facilities, uniforms, equipment, and sports officials continue to rise. Most importantly, during these difficult and challenging economic times, requests for scholarships from families needing registration fees financial assistance continue. 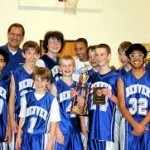 Our calling and heart’s desire is provide a high quality, low cost Christian home school athletic program to Colorado. That’s why we need the help of friends like you — and why we ask you to please prayerfully consider supporting Denver Eagles. Your gift helps us support the Gospel of Jesus Christ through a practical outreach to home school families. You are also investing in the futures of young home school men and women. 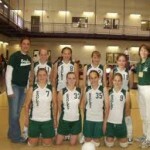 Many of our athletes are from first generation homeschool families.